Scottish tennis is to get more than £3m over the next four years in what it calls a 'landmark' new funding deal. The agreement with the Lawn Tennis Association means £3.3m will be invested in all areas of the Scottish game between 2015 and 2018. 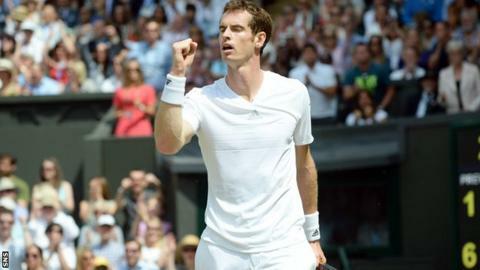 LTA chief executive Michael Downey described it as a "pivotal moment" for tennis in Scotland. And he said the money will "make a long term sustainable difference to tennis north of the border". The structure of the investment marks a departure from previous funding arrangements, which were done on a year to year basis. And as part of the deal, there is to be a full review of all aspects of Tennis Scotland's performance operations, with a revised strategy for the future to be presented next year. A statement from Tennis Scotland read: "The funding, which will be a combination of grants and loans, replaces the current model whereby funding was confirmed on a year by year basis. "The landmark agreement will allow Tennis Scotland far more financial flexibility going forward to develop its performance and participation programmes, as well as improve facilities." "The review will ensure our resources are better aligned with our colleagues at the LTA to support long term player development and give Scotland the best chance of continuing to produce world class talent such as Andy Murray and our current International Player of the Year, Gordon Reid." The funding agreement is aligned to the four-year £5.8m investment in Tennis Scotland made by sportscotland in 2013, aimed at capitalising on the success of Scottish two-time Grand Slam winner Andy Murray. Tennis Scotland chairman Gordon Baker said: "I am delighted that a four year funding agreement has now been finalised with the LTA, enabling our board to plan strategically for the future, rather than on a year-to-year basis as has been the case in recent years. "In response to the confidence shown in Tennis Scotland by our key partners, the board has commissioned a full and comprehensive review of all aspects of our performance operations, with a revised strategy scheduled to be presented to the board in the first half of 2015. "The review will ensure our resources are better aligned with the LTA to support long term player development and give Scotland the best chance of continuing to produce world class talent such as Andy Murray and our current International Player of the Year, Gordon Reid."